gaping—inserting their closed bills into a flower, fruit, or stem, then opening the bill to expose food or facilitate nectar feeding. Twigs and branches often harbor small insects, especially ants. 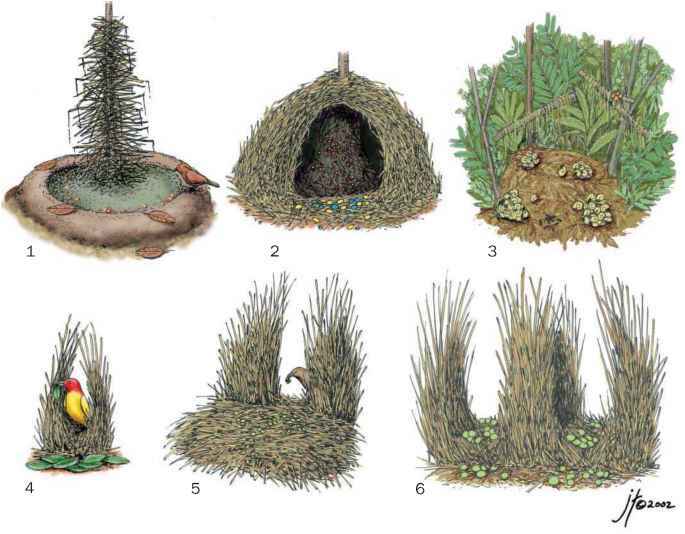 By gaping into these branches, birds capture these insects. Bark can be pried loose by gaping, and yellow-backed orioles (Icterus chrysater) gape under the scales of pine cones, as well as flake away bark, in the search for insects. Black caciques, such as the Ecuadorian cacique (Cacicus scla-ten), split the slender stems of bamboo to find insects, but like most blackbirds are generalists when foraging, eating fruit and nectar in addition to insects. An oriole often gapes when eating fruit: it thrusts its closed beak into the fruit, then opens it and uses its tongue to drink the laked juice. They also forage for nectar (or sugar in hummingbird or oriole feeders) and many commonly forage on the ground. The species of blackbirds that live in grasslands feed mostly on the ground, and the marsh-dwelling species also commonly feed on the ground, especially in the winter. 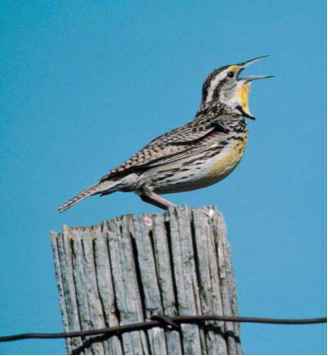 Meadowlarks commonly feed by gaping. They insert their long bills into the ground, then open the mandibles to expose insect prey or grain; the muscles used for opening the bill are particularly well-developed in these birds. Particularly during the winter, many blackbirds forage extensively on the ground for grain and other seeds, and some species eat small vertebrate animals. Red-winged blackbirds have been observed to eat Nelson's sharp-tailed sparrows (Ammodramus nelsoni), and rusty blackbirds and grackles have been observed eating birds as large as white-throated sparrows (Zonotrichia albicollis). Grack-les are also adept at catching small fish in shallow waters, and they can crush acorns with their powerful bills. Black-backed orioles (I. abeillei) are one of the few birds that will eat the of ten toxic monarch butterflies (Danaus plexippus). The toxicity of these butterflies is derived from some of the plants that they eat, and the majority of the butterflies are only weakly toxic. The orioles taste each butterfly that they capture, and release the more toxic ones. Blackbirds are not adept at fly-catching, but they do take some low-flying insects. In winter, many species of blackbirds forage in flocks on the ground. Commonly these flocks are composed of mixed species. In North America, flocks often contain a combination of cow-birds, grackles, red-winged blackbirds and, in the west, yellow-headed blackbirds and Brewer's blackbirds. When the birds are foraging, these flocks appear to roll along as the birds toward the back of the flock fly to the front of the flock as it moves along.